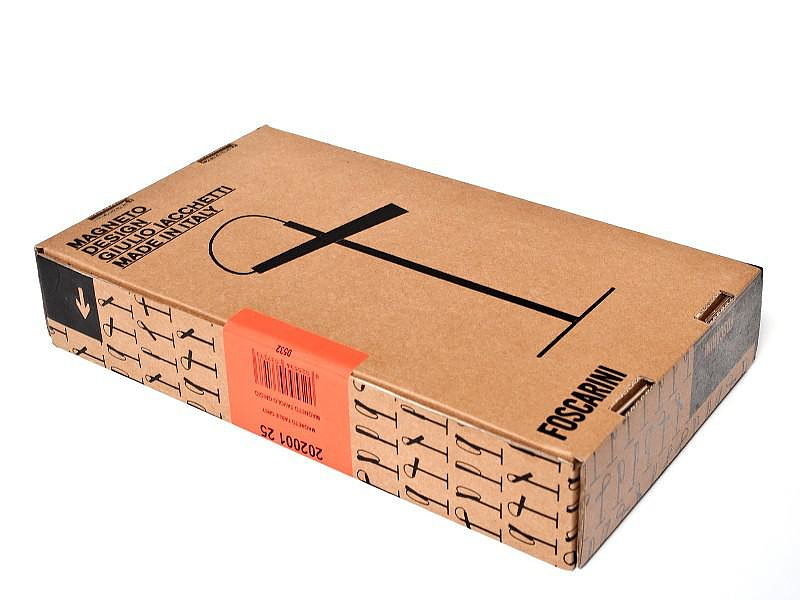 HomeBlogHome DecorFoscarini Magneto Lamp by Giulio Iacchetti. 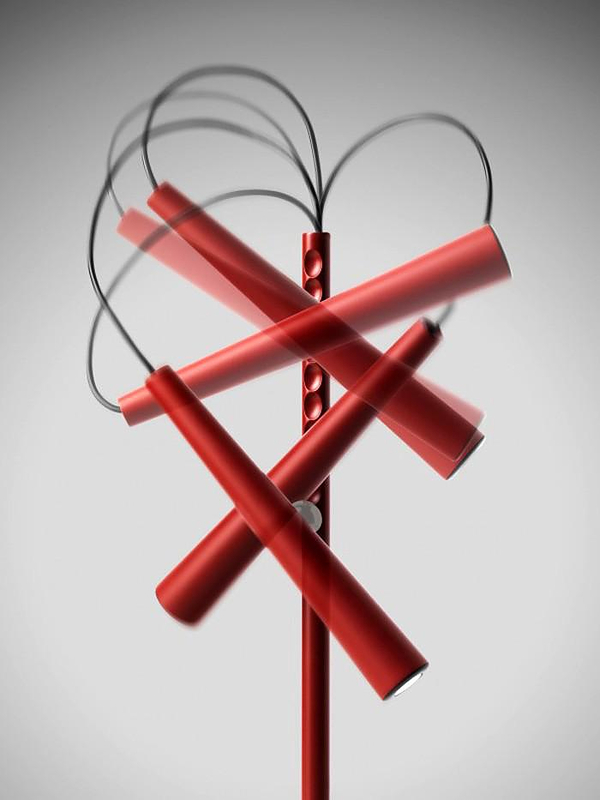 The Magento Lamp is a stylish and super flexible lamp designed by Italian designer Giulio Iacchetti for Foscarini, the heart of the design is a magnetic sphere. 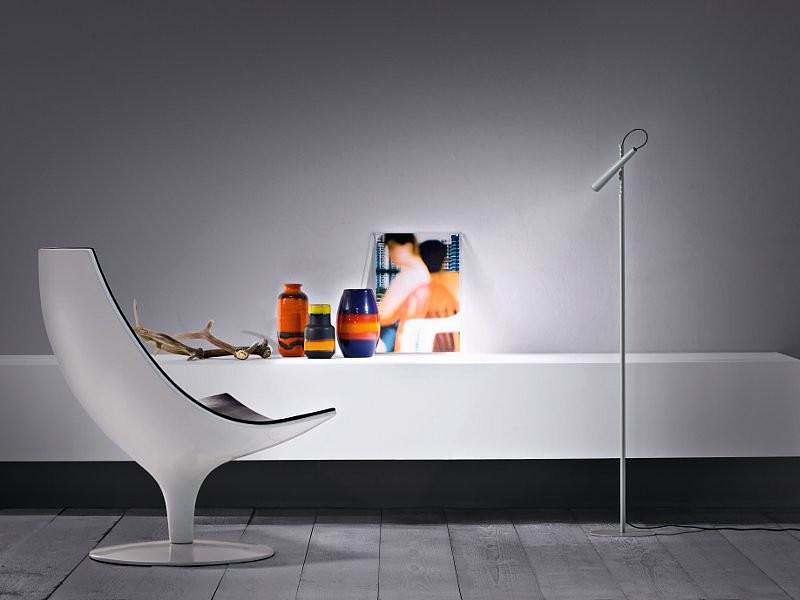 Sleek and sophisticated it is available in either table lamp version or floor lamp version and is perfect to be used as a reading lamp. 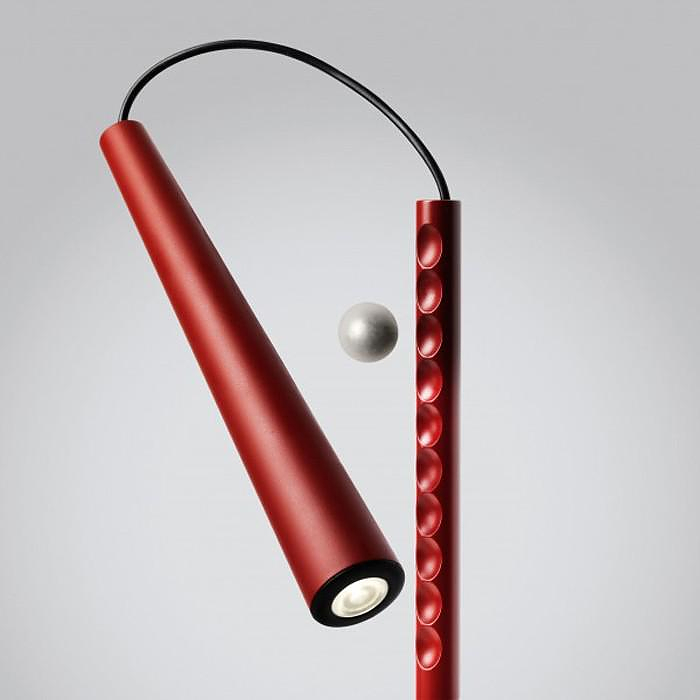 Unlike conventional lamps that have stiff necks or multiple pivot points, the Magento lamp uses a magnetic ball allows the light fixture to move and pivot freely into any direction. A series of dimples on the base’s vertical arm stop the ball from just rolling off its base. 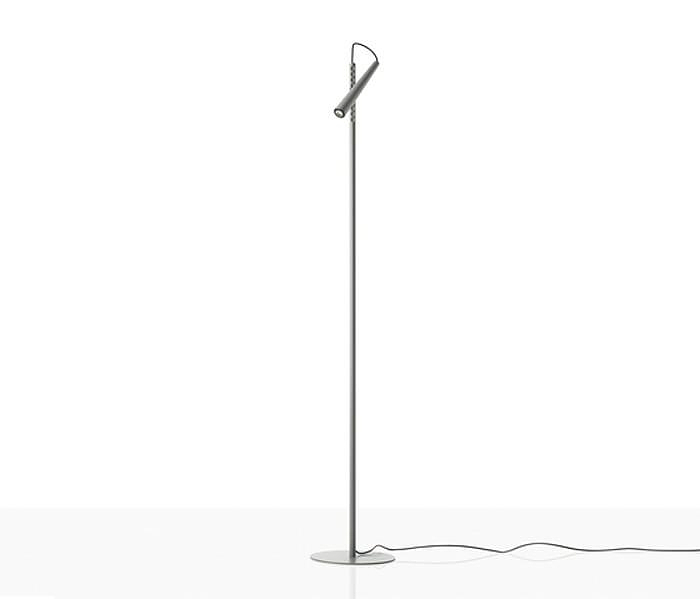 The force of magnetism joins the two elements of which it is made, the light source housing and the base, in a simple practical way which defines its elegant, minimalist form. 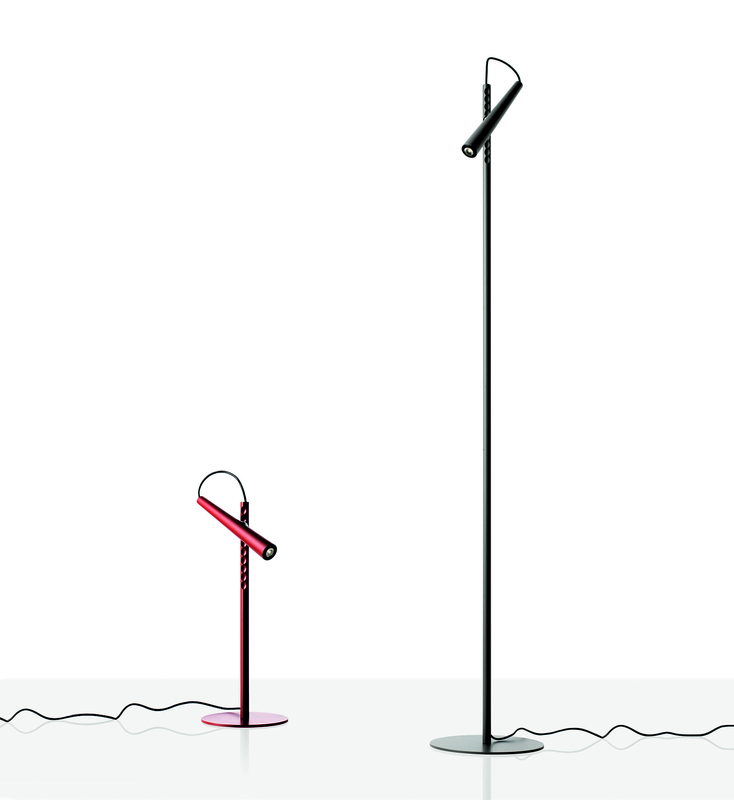 The LED light source, which resembles an electric torch, is extremely versatile to angle and position along the stand thanks to the magnet’s holding power. 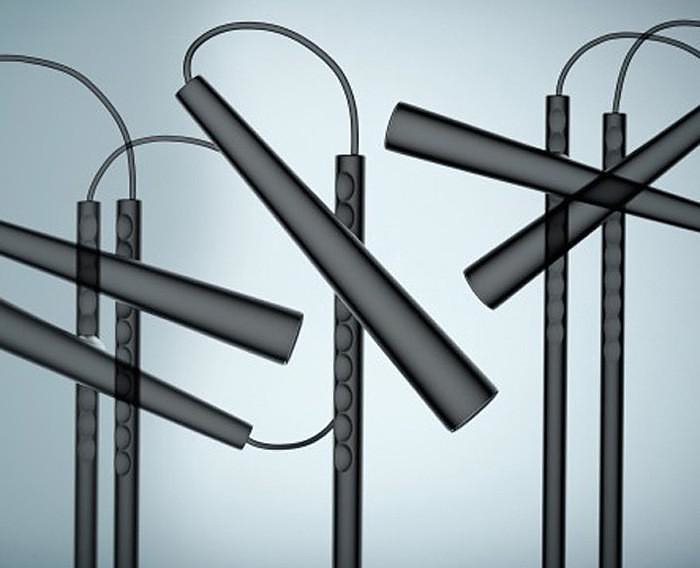 The design also features a special channel to house the cable, so the power cable can be extended or retracted, depending on how much slack is required. 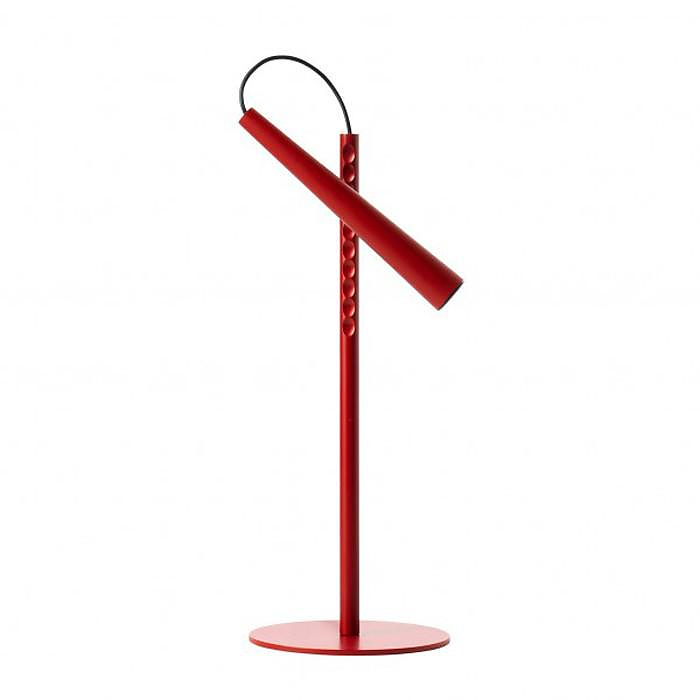 The supporting stand can also be rotated 360° on the base, making the Foscarini Magneto an extremely flexible lamp, perfect for a wide range of uses. 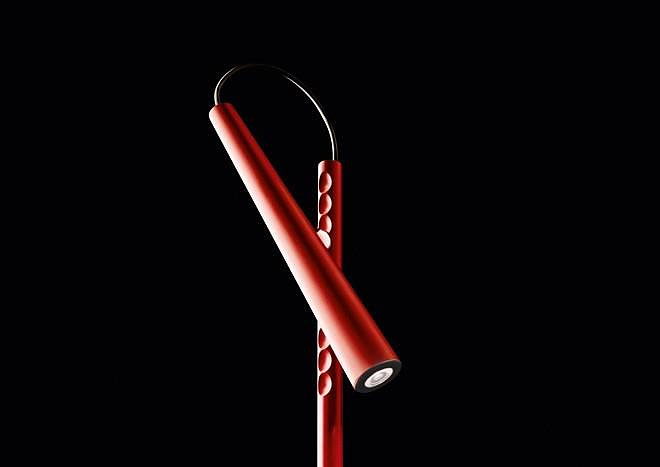 The LED light source was chosen as the best expression of the design’s formal and functional rigor. It provides an intense, concentrated and precise beam of light. 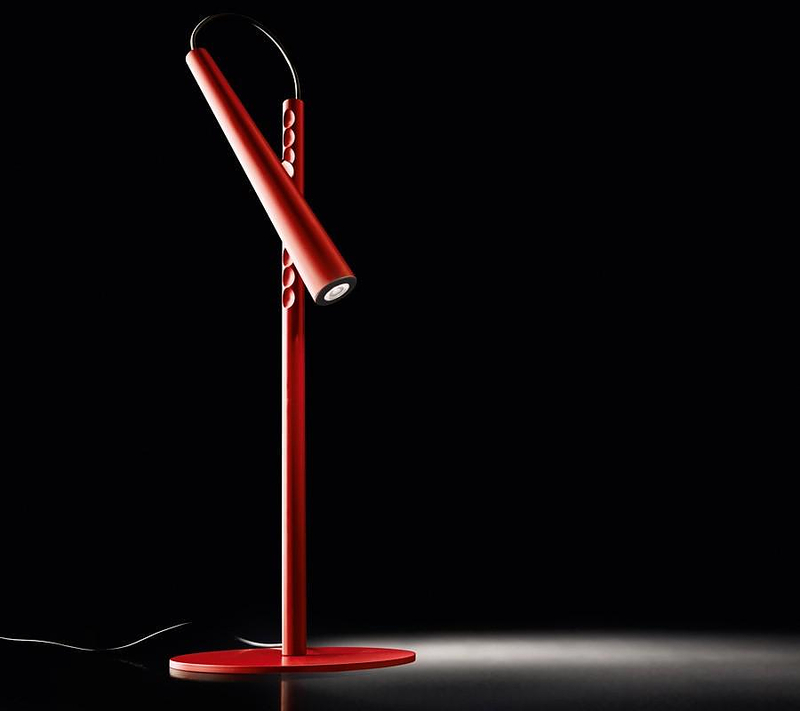 The light can be focused downward to light a small area, suitable for illuminating a computer keyboard and reading a book or a magazine, or it can be pointed upwards to create a soft effect and an intriguing atmosphere. 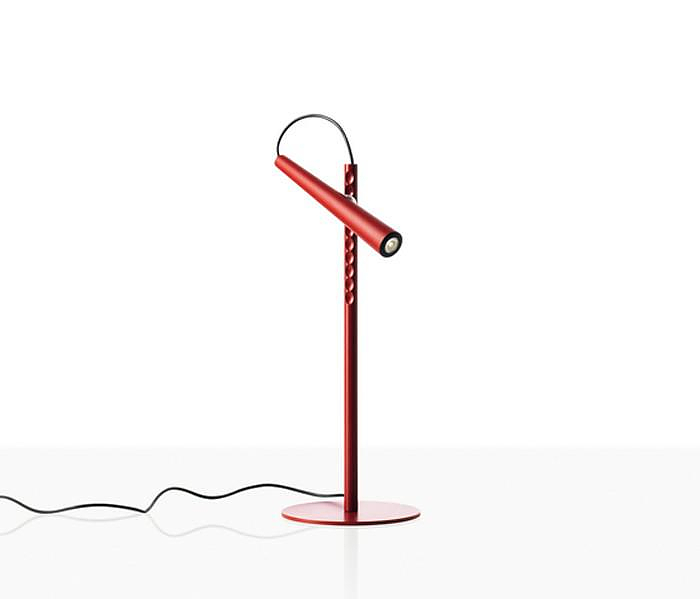 Its color (available in either red or grey) is a fundamental element of this lamp, which is perfect for a range of different spaces and moments: from the office to the lounge, and from the living room to the bedroom. 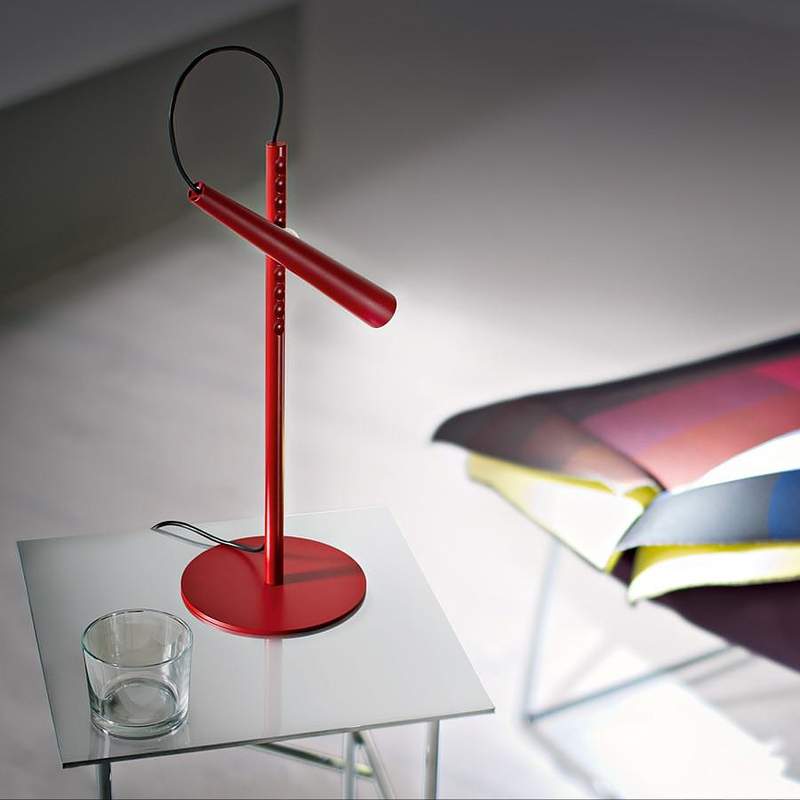 The Foscarini Magneto Lamp is indeed special, strong and at the same time subtle, attractive and seductive. In one word: Magnetic.